By BoltBait, January 29, 2007 in Plugins - Publishing ONLY! I noticed (and submitted a bug report) that when I changed a layer's opacity and merged another layer onto it, the result was less than I expected. The transparency never came out as you saw it on the screen. This turned out to be a problem when I was making collages of pictures and I was attempting to put drop shadows around some of the pictures. When I merged the picture layer with its drop shadow layer, it didn't look good at all. Since there is no way in Paint.NET to directly adjust the opacity of a selection independent of the entire layer, I decided to write an effect to do it. In order to use this effect, first select the pixels that you want to adjust. If you do not make a selection, the current layer will be affected. Then, click the Adjustments menu and select Transparency. Move the slider to the left to make your selection more transparent or move your slider to the right to make your selection less transparent. If you would like to adjust transparent pixels, be sure to uncheck the "Ignore transparent pixels" check box. Completely transparent pixels will be filled with the secondary color before being adjusted. When your selection looks the way you want, click OK. Otherwise, click Cancel to undo your changes. I hope you find this effect useful. Oh, and by the way, there are several people on this board who will be happy to know that I wrote the UI myself. Thank You Boltbait, You Rule! Two paintbrush's...erm, I mean two thumbs up on this one!! I think having this is better than fixing your bug. This seems to be more intuitive. Great job! One problem, without using the color picker there is no exact way to see what level you made the transparency. You need the actual values to show up in the dialog somewhere. Otherwise, it is great! I was never bothered with the bug you found, BoltBait. 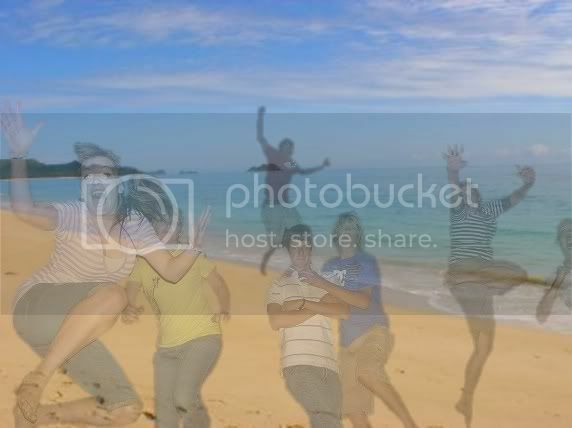 But, the possibility to select a part of a picture, and adjust the transparency individually is very handy. Thanks. Great job. The problem here is that not every pixel on the layer is changed to the same opacity level. You see, if you draw a solid shape on a transparent layer, then blur that layer, many of the pixels are already less then 100% opacity. You wouldn't want to adjust those pixels to the same level of opacity, the image wouldn't look natural-believe me, I tried that first. The slider only makes pixels more or less transparent. The actual amount of adjustment may be different on a per pixel basis. The reason for this is that the results look more natural when sliding the slider. Also, the calculation is different if the slider is above or below 0. I hope this explanation clears things up for you. I understand what you are saying here. Thanks for the clarification. Would you be able to have the actual amount of adjustment be represented in the dialog. That, at least, would be helpful. Is that really necessary? The slider tic marks are at 10% intervals and you can slide the slider with the keyboard by 1% increments. I think it would, so you can remember "ah yes, 47% works well", etc. also, all the other sliders in PDN have the select box alongside them. no harm putting it in. I think it would, so you can remember "ah yes, 47% works well", etc. ^ raises a good point. I think paint.kim is looking for your plugin, only with the ability to set conditions like the "Conditional Hue/Saturation Effect". The only difference is that it would need to allow for you to conditionally select black and/or white for adjustment. I've been waiting for something like this! I noticed the bug too, but it works fin if you do all the layers first then flatten it. The plug in was up before you joined the forum. I love this plugin! Great work, here is something I made. I've been using the Paint.Net program for a year or so now, and it works fine. Struggling a little, but i need to find time to get into the tutorials. Anyways...i just added this Transparency plug-in, but i'm just not getting things happening the way i want them. My daughter wants to print a calendar. It's just a 1 page "yearly" version of 2008. I thought it nice to add a faded dolphin background in blk & wht, seeing she loves dolphins. Problem is, when i try the plug-in, the picture fades but i see the little squares in the background. And i try to overlap the pic onto the calendar page, i still cannot see the calendar. It's like they cancel each other out. I've used Photoshop in the past and made many of these set ups, but seeing i can't afford the software, this program is the closest thing i found. Problem is, when i try the plug-in, the picture fades but i see the little squares in the background. The squares indicate transparency. They show up if an image is partially or completely transparent only on-screen to distinguish between a white background. I tried to add this plugin but a message came up and said I don't have permission to add it. How do I get permission???? Ok, I do all that and when I get to the save as I put it in the paint.net file under effects. when I push save it comes up saying I don't have permission to save in this location and to contact administrator for permission then it wants to know if I wan't to save it in my files instead. You'll need to log in as an administrator. I went into my control panel and it said I am the administrator.... I am the only person who uses this computer.